Rahul Gandhi exhorted students to air their grievances on the NSUI website. Congress president Rahul Gandhi has written an open letter to students across the country, assuring them of every possible assistance in overcoming the hurdles on their path to a better future. The Congress president promised to provide students with the support they need to fulfil their aspirations, and end the “corruption” that deprives them of educational opportunities. “Your concerns are our concerns, your priorities are the Congress party’s priorities,” he said. The letter also underlined the need for students to help the nation forge ahead not through war, but advances in science, technology, art and literature. “Societies progress by embracing rationality and justice. And you are at the forefront of this progressive advance,” it said. 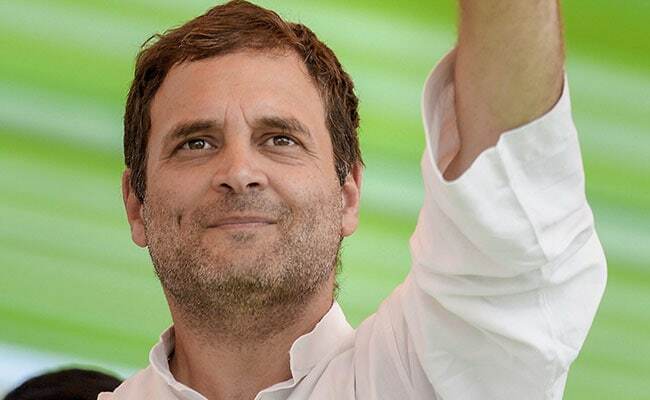 Rahul Gandhi’s message for students will be translated in all regional languages and distributed by the National Students Union of India (NSUI) — the student wing of the Congress — at colleges across the country as part of its Better India campaign, news agency PTI quoted a party statement as saying. The letter — which exhorts students to air their grievances on the NSUI website — comes at a time when educational institutions across the country are reeling from lack of teaching staff and the BJP government in Madhya Pradesh is facing allegations of aiding the Vyapam admission-and-recruitment scam. The Congress hopes to leverage these issues to garner support ahead of the 2019 Lok Sabha polls.